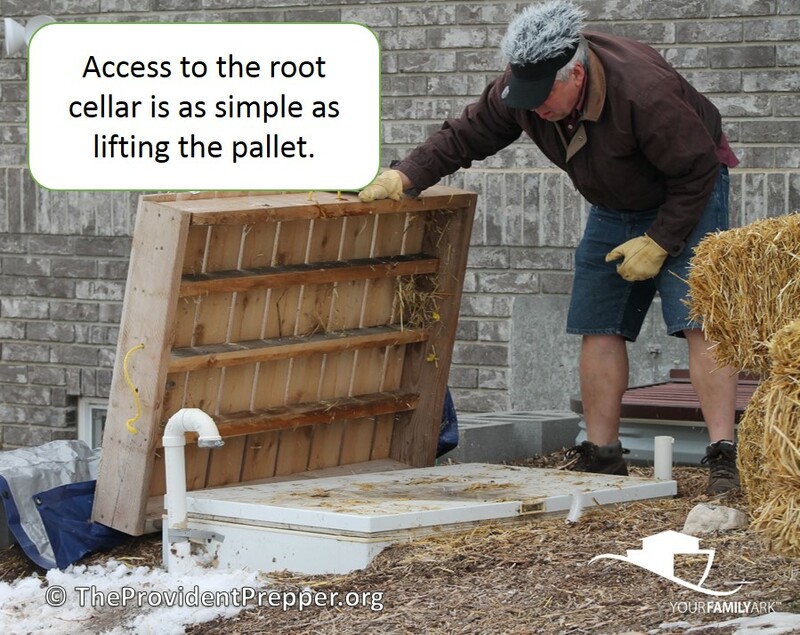 We are excited to announce that a re-purposed chest freezer makes a fantastic root cellar! It requires a few inexpensive parts, along with a bit of sweat equity, and the results are amazing. 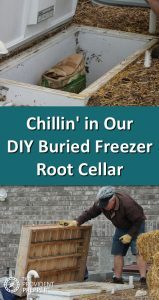 We have used our little root cellar for a few years now and are quite pleased with this inexpensive solution for storing fresh produce throughout the winter. This is a great way to turn a piece of junk into a valuable asset and to be prepared to live without electricity. 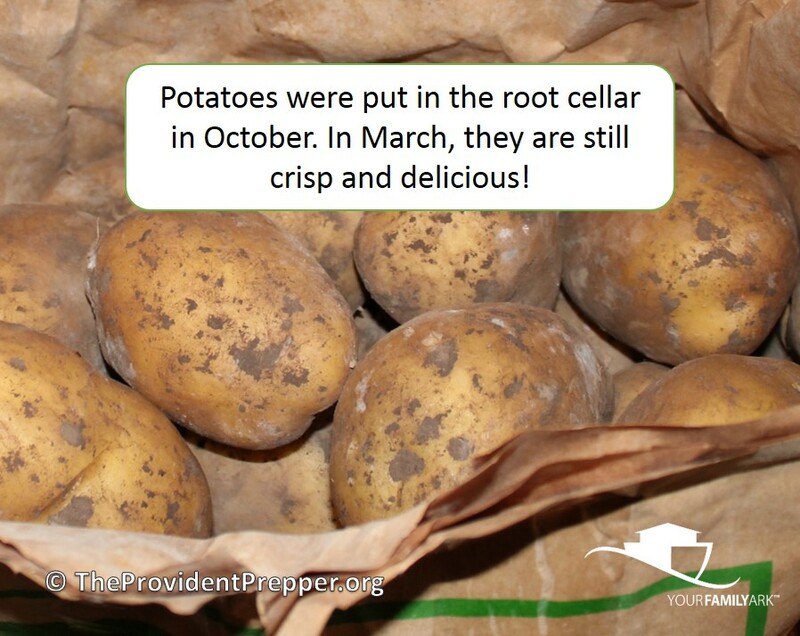 A good root cellar must be cool, dark, humid and well-ventilated. An optimal location is on the north side of the home where it is naturally cooler and doesn’t get much direct sun in the winter. 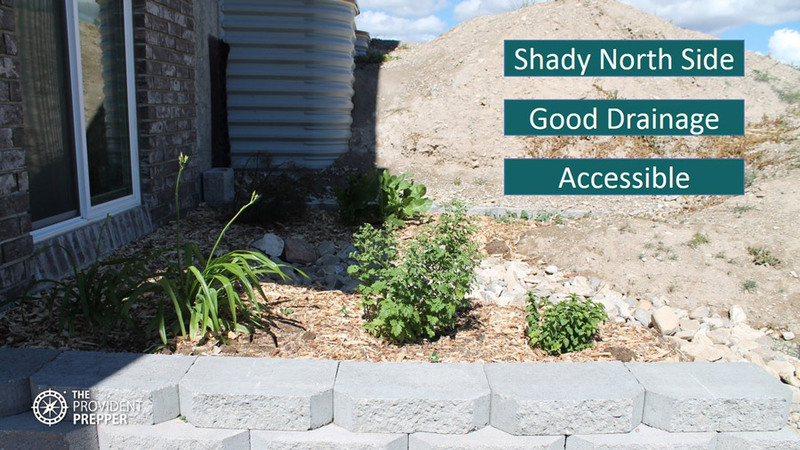 Any shady spot with adequate drainage will work. We decided to bury a broken old freezer on the north side of our newly constructed home. We were in the process of building a retaining wall and backfilling so it didn’t take much initial digging. Start by preparing the freezer. 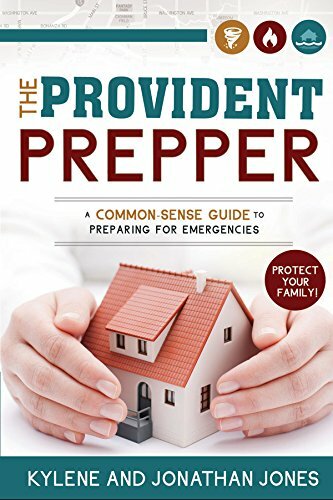 The compressor contains refrigerant that by law should not be expelled into the atmosphere. It is best if you have the ability to remove it correctly. 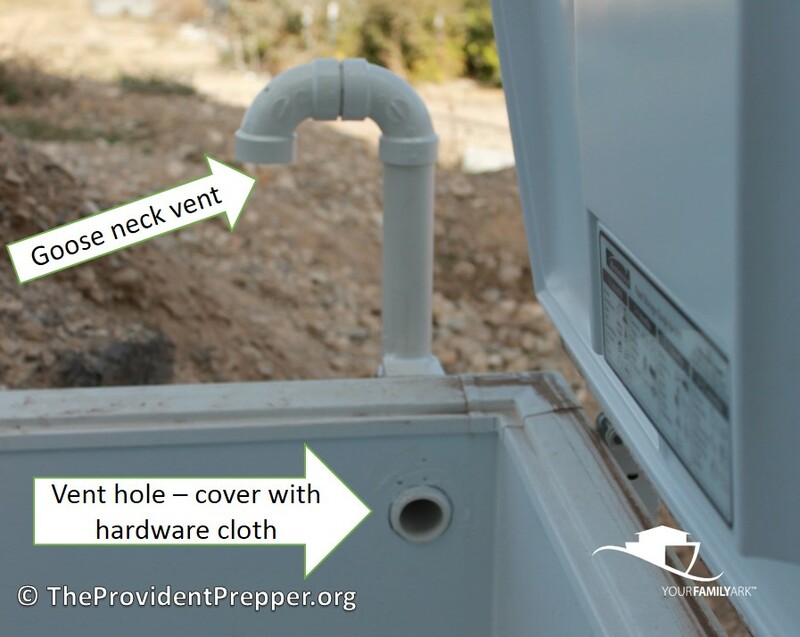 You may be able to drill the vent holes without puncturing the line. 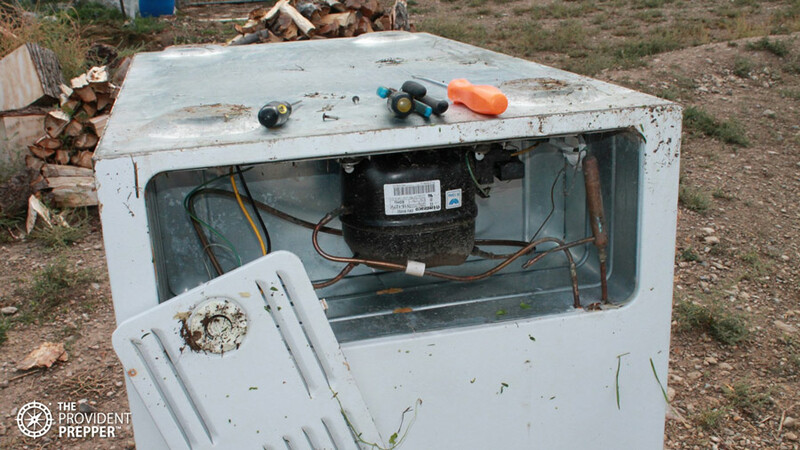 Do what is best considering the appliance you have to work with. It is important that the final ground level is just below the top of the open freezer. This will provide the maximum amount of benefit from the constant cool temperature of the soil. We installed a 2-inch vent on each side of the freezer with goosenecks at the top to keep the water out. Good air flow is critical to keeping the produce fresh. 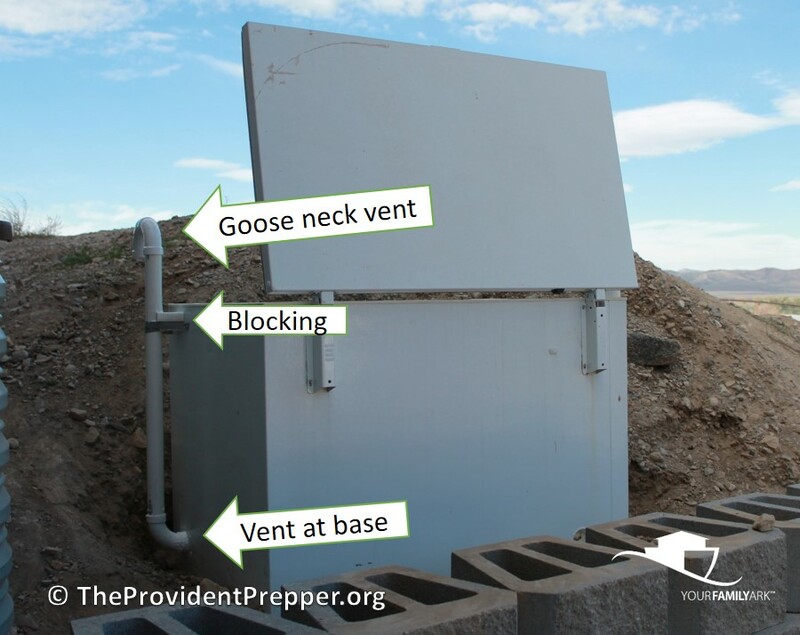 Placing one vent on the top and another at the base provides good cross ventilation and allows the warmer air to escape from the root cellar. 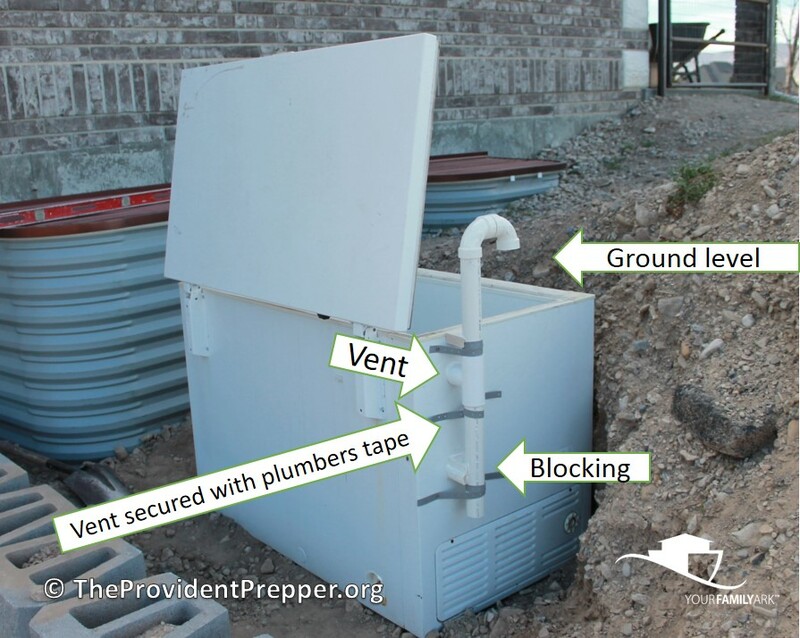 It is not shown in the photo, but we covered the exterior vent openings with metal hardware cloth to keep rodents out of our root cellar. Jonathan created a sturdy homemade pallet to protect the top of the freezer and make it a little more aesthetically pleasing. Once the landscaping is in place, it will be difficult for anyone to suspect that we have delicious fresh produce stored under there. We found that the extra insulation provided by a few bales of straw really helped to maintain a better temperature in the root cellar. 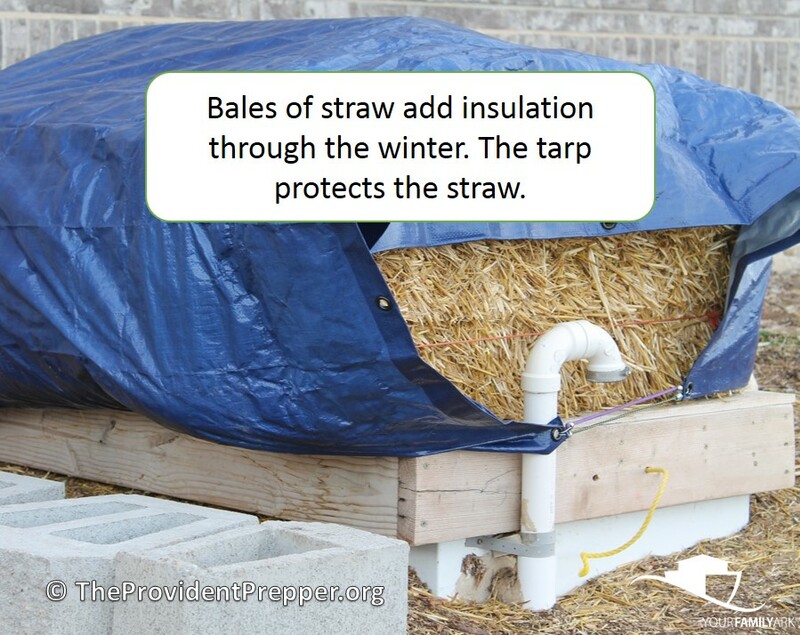 The tarp keeps the straw bales dry. One year we didn’t cover them and they absorbed a lot of water which made them heavy and difficult to move. We bring enough produce in to last a couple of weeks when we open up the root cellar. It isn’t a difficult process, but the straw has to be moved off the top and the pallet lifted. It is not something I want to do every time I want to bake potatoes or steam some beets. We store our garden produce in milk crates stacked inside the freezer. Every fall we purchase potatoes in 50-pound bags and just leave them in the original packaging. 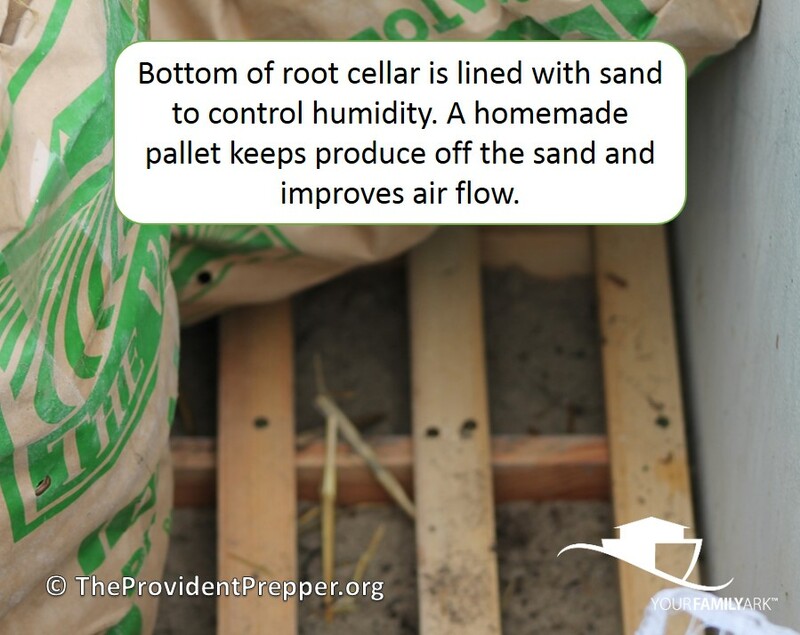 Humidity control is critical in a root cellar. We added 3-4 inches of sand in the bottom after the first season and it made a big difference in the freshness of the vegetables. Jonathan built a small pallet out of inexpensive fir strips to keep the produce off of the floor. It seemed to have improved the air circulation. Seriously, it is March and the potatoes are still crisp and delicious. We noticed a little white mold dust starting to cover them. It washed off just fine and did not affect the quality of the potatoes. 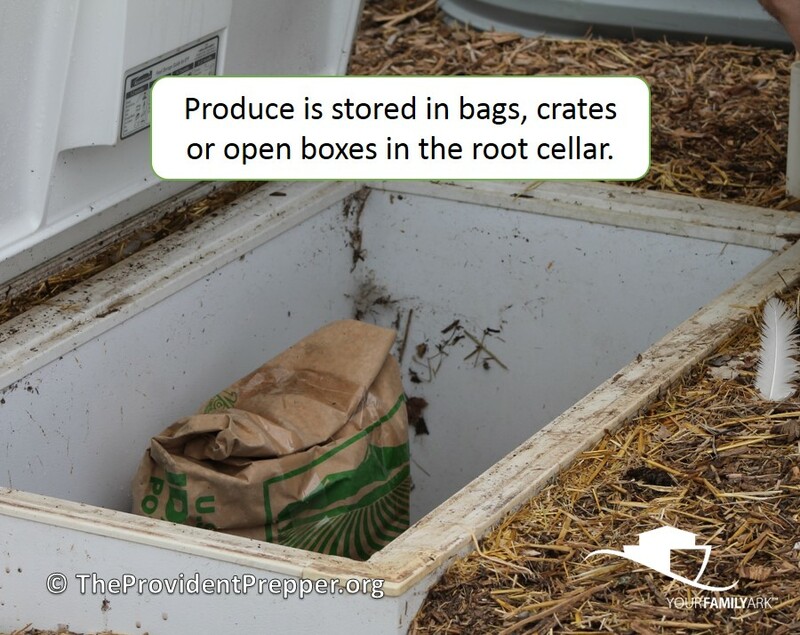 A root cellar used to be a common feature in most homes. 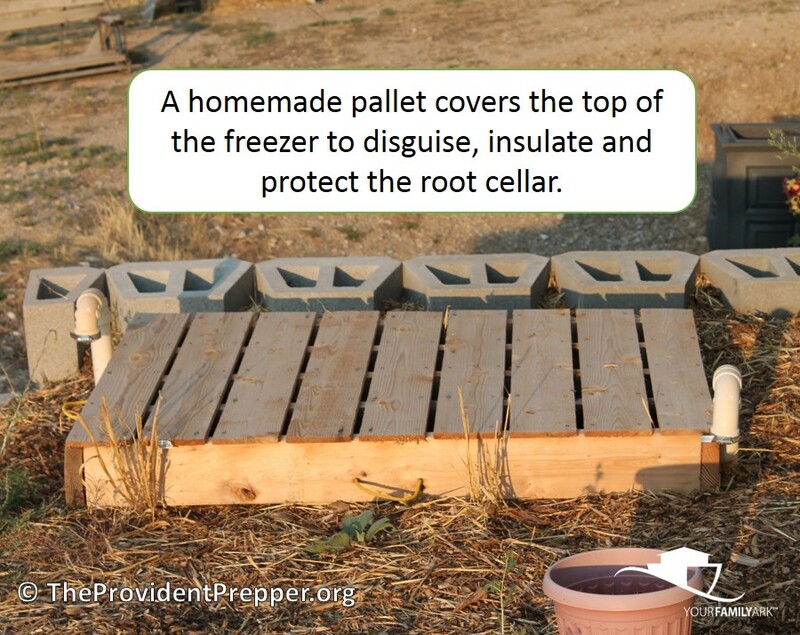 Perhaps it would be a great idea to keep an eye out for a broken freezer and re-purpose it to extend the life of your garden produce … or to store great fresh produce each fall as part of your food storage program.